Ok, so here it is, my first attempt of stamping posies from retired SU! Fifth Avenue Floral and coloring them on vellum. I used Stazon ink, and then filled in with a paintbrush and Primrose Petals ink, then cut out. I then used some Stickles for the inside. I punched a butterfly in vellum then layered it on Glossy White cardstock. 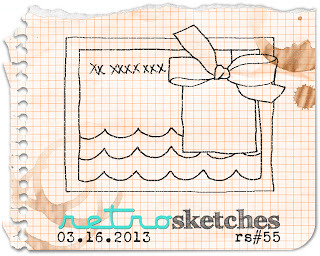 Its my take on the Retro Sketches layout. Keeping in mind that I wanted to use the Craft Dash challenge, and it has to be under 10 minutes. So I knew I was going to be close, since cutting out those flowers was a time eater! SUO Challenge - not just Easter but other celebrations such as the Spring Equinox and Passover. This card is beautiful. Those flowers are so elegant and I really like how you paired it with the scallops. Thank you so much for joining in the 10 Minute Craft Dash, Chera! Feel free to enter the current challenge once more! Such a spring-like card. Love the coloring on vellum and the triple color scallop border. 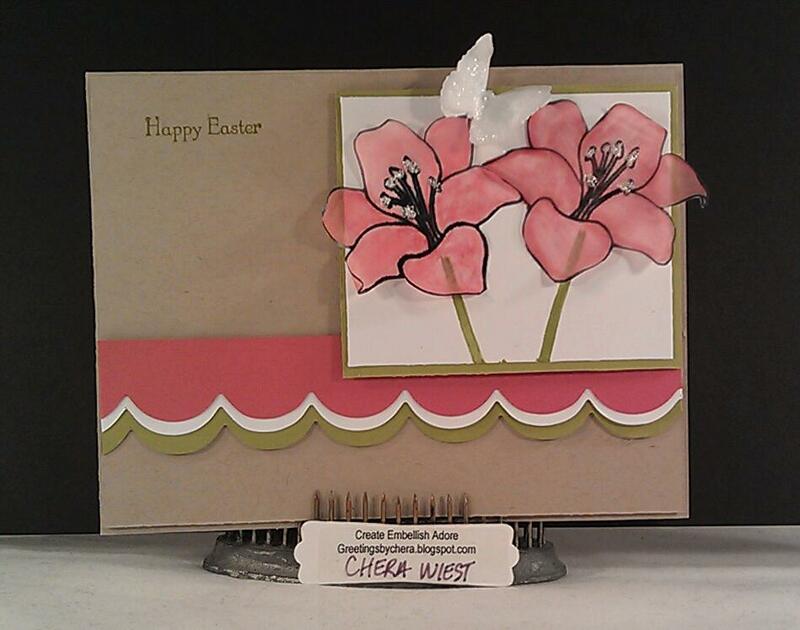 Thanks for sharing your card with SUO Challenges. Beautiful! That flower image is perfect for an Easter card. Thanks for joining SUO Challenges this week. 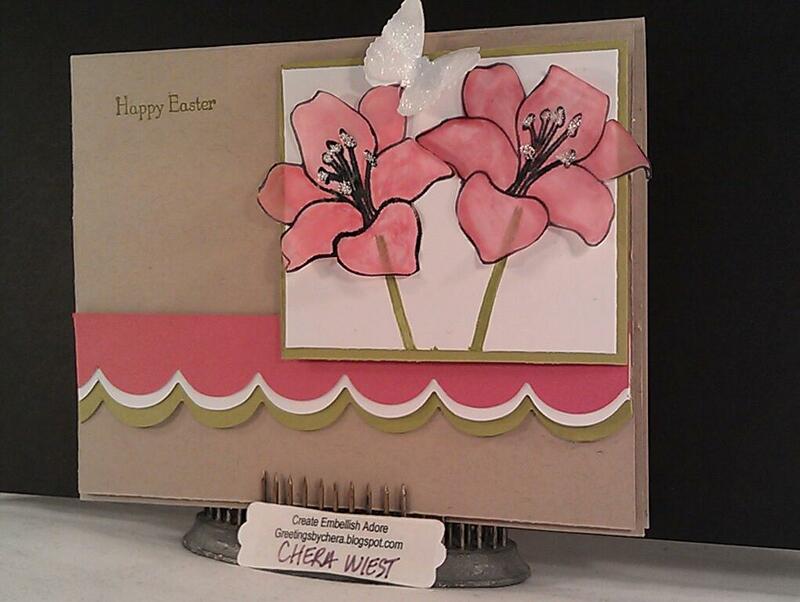 Beautiful card, Chera! The flowers are very pretty. Oh so pretty! I love your colors and your triple scallop along the bottom! Such a pretty spring card! Thanks for joining the SUO challenge! Oh wow, I can't believe you painted the flowers AND cut them out, and still got this done in 10 minutes! Amazing! Beautiful card, I am so glad you joined us at the 10 Minute Craft Dash!